A hovercraft, also known as an air-cushion vehicle or ACV, is a craft capable of travelling over land, water, mud or ice and other surfaces both at speed and when stationary. Hovercraft are hybrid vessels operated by a pilot as an aircraft rather than a captain as a marine vessel. Hovercraft use blowers to produce a large volume of air below the hull that is slightly above atmospheric pressure. 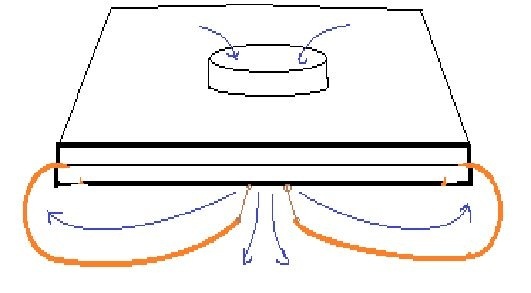 The pressure difference between the higher pressure air below the hull and lower pressure ambient air above it produces lift, which causes the hull to float above the running surface. For stability reasons, the air is typically blown through slots or holes around the outside of a disk or oval shaped platform, giving most hovercraft a characteristic rounded-rectangle shape. Typically this cushion is contained within a flexible "skirt", which allows the vehicle to travel over small obstructions without damage. A radio transmitter/receiver to controll your motors, doesn't matter which transmitter you use. And a soldering iron for soldering everything together! 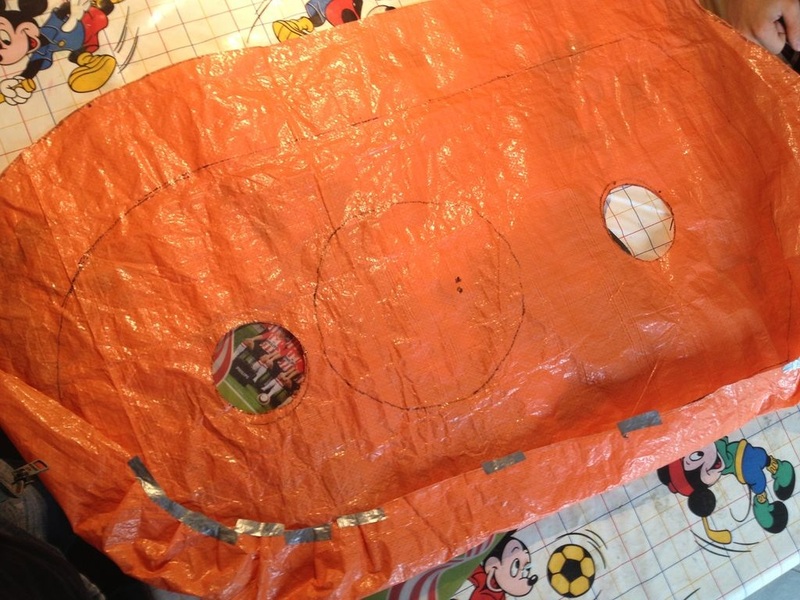 Polyethylene lightweight tarp is used for the skirt. Enough materials, time for the next step! The next thing to do, is cutting your foam boards. As said, I used styrofoam which is easy to cut with a stanley knife. After cutting it you can smooth the edges using sandpaper. No hot wires needed! - Cut two of your boards for the main body. The length of each board is 95 cm. Width: 46 cm. 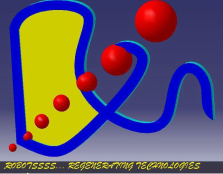 - Make the front of the boards in a round shape as on the image. - After that, cut a circle in the middel of one board. Make sure the hole is exactly in the middle of the widht. It has to be a bit more at the front (you'll need your space at the back of the hovercraft), but not too much at the front! And it's better if you hold your knife in a angle, so that the air will flow to the center. - Cut the inside of the other board out. Keep a border of 6 cm. Time to add the skirt to our boards. Get your blanket and place one of the boards on it. Mark where you are going to cut the tarp. Keep some space between the edge of the board and your marks. You'll need this to create some flexibility for the skirt and you have to fold the edges 1-2 inches over the board (to create an overlap). - Cut some holes in the skirt, I've cut two holes in the middle spread across the lenght. Start with litlle holes, after testing you can always make the holes bigger, or make some more holes. 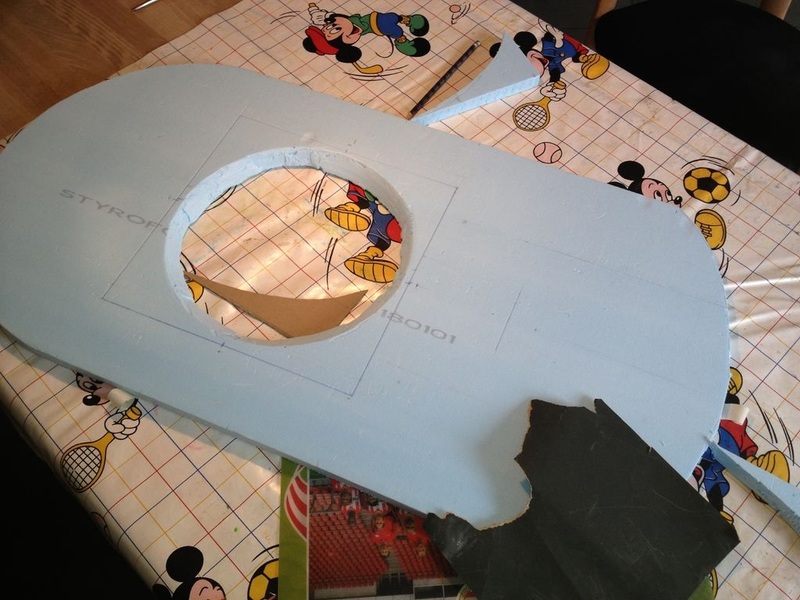 - Once you have the skirt ready, lay down your base board on it. Fold the edges of the skirt and tape them on the board. You can use duct tape for it. - After you did this take your other board and glue it on the base. I used some foam adhesive glue for it. (Don't know how it's called in the U.S.) Now you got the blanket jammed between the two layers, and it should be staying there. It's also looking better and it gives the body of your hovercraft more solidity! 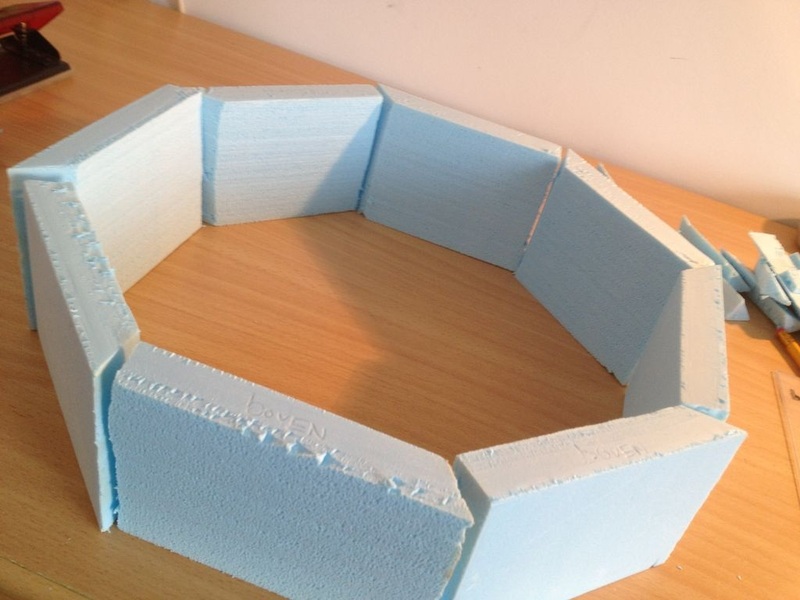 - Simply cut eight pieces of foam. (13 cm long). Cut an angle of 45 degrees on each of them, so they will form an octagon. - Your motor and propeller will be hanging inside of this lift duct. To get your motor in the middle, use two wood spars. 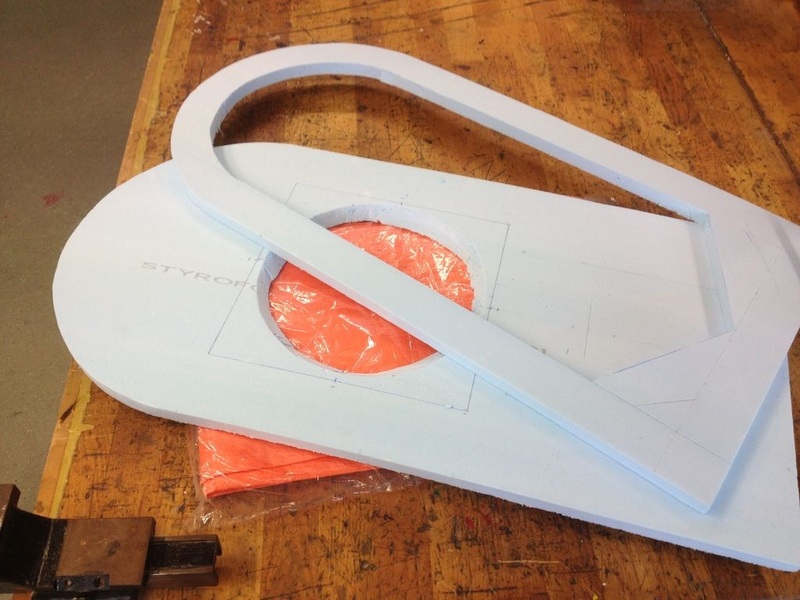 Cut four gaps in the foam pieces you've made, where the spars will fit in. 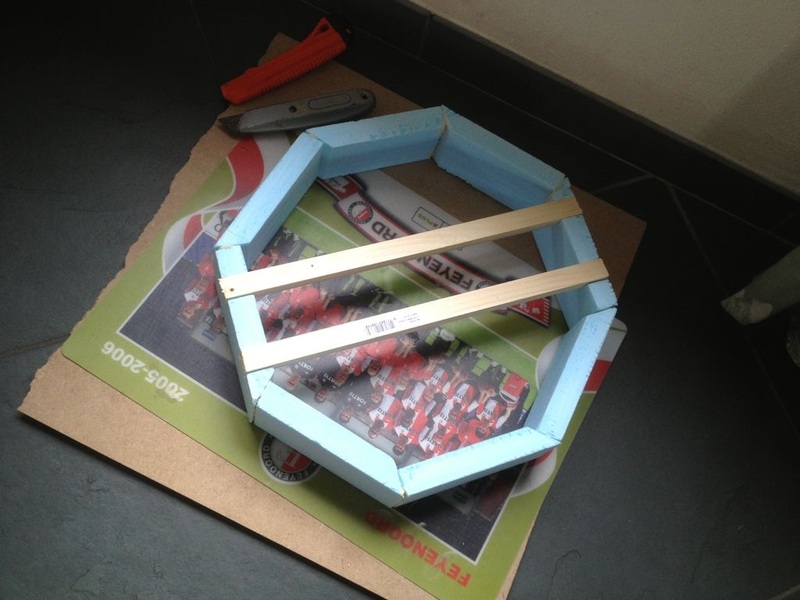 - Glue all the eight pieces together and place the wood spars in the gaps. First fill the gaps with glue. Make sure the spars are holded firmly, you don't want your motor flying away! 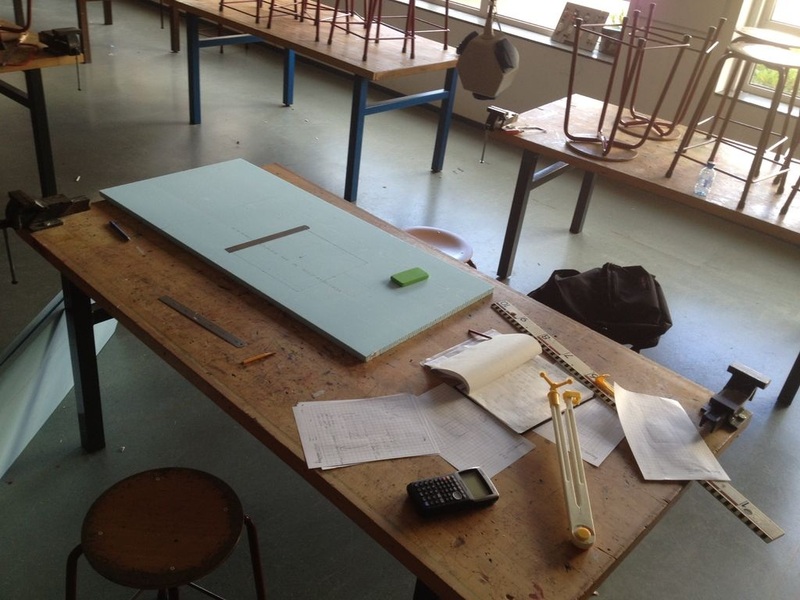 In this step we're making a motor towerfor the thrust-motor and we're going to start making the rudder. - Right behind this pusher motor tower we'll be placing the rudder, as you see. 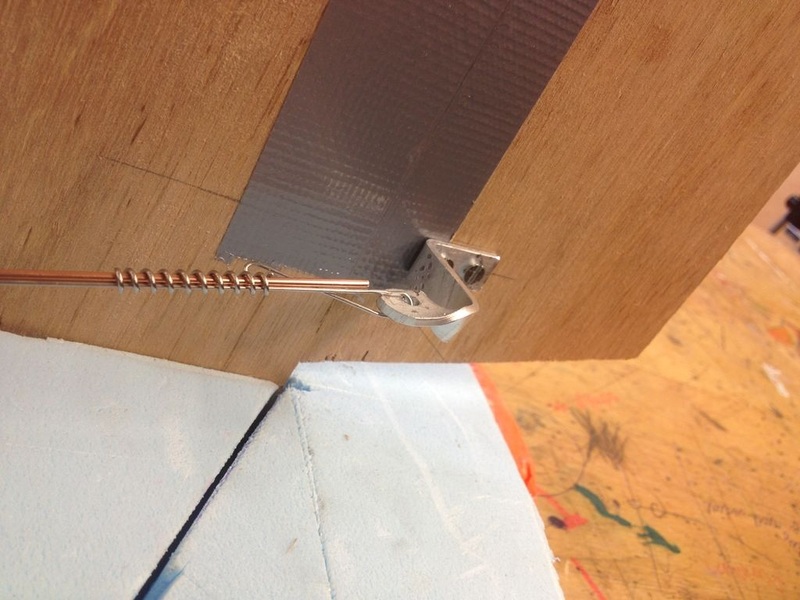 Use triplex or plywood for the rudder. 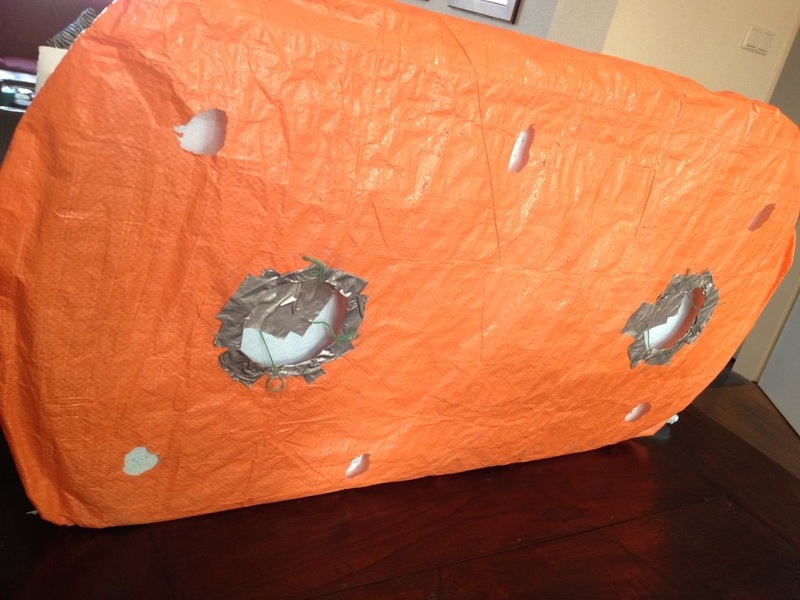 One part of the rudder stands in the 2cm styrofoam, the other part is hanging on this. Just connect the two parts with duct tape. Keep a little space between them to make it moveable. As you can see, the motor tower and rudder are placed/glued in another piece of foamboard, which is glued to the base plate. I did this to make sure they are both standing stable. Later, you can also place you spoiler in this extra piece of foamboard. For testing the motors, you first have to solder an electric circuit to connect the battery to the ESC's and motors. 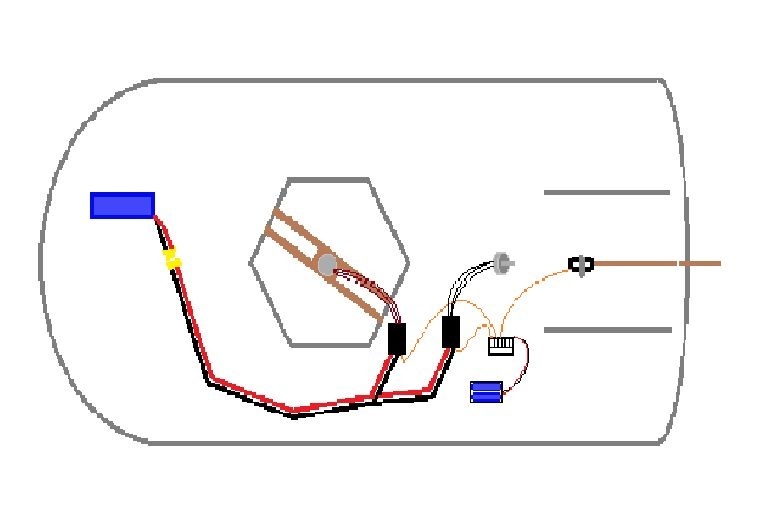 Grap your materials and make the circuit as shown on the image! - Use the gold connectors for connections between ESC and motor, and between ESC and thick black/red wire. Cover the connectors with heat shrink to avoid them from touching other connectors.
! Do not plug the red/power (probably the ones in the middle) wires from these cables into your receiver. 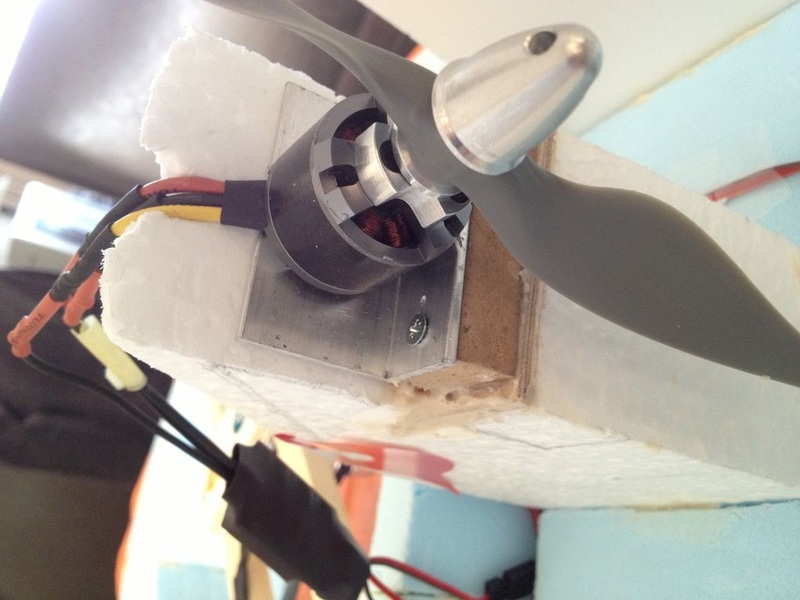 The ESC's are already being powered by your LiPo-battery. Just fold the red wires back and cover them with heat shrink or tape. Now the circuit is soldered, and the lift-duct and motortower are placed, it's time to assemble the motors on the hovercraft. 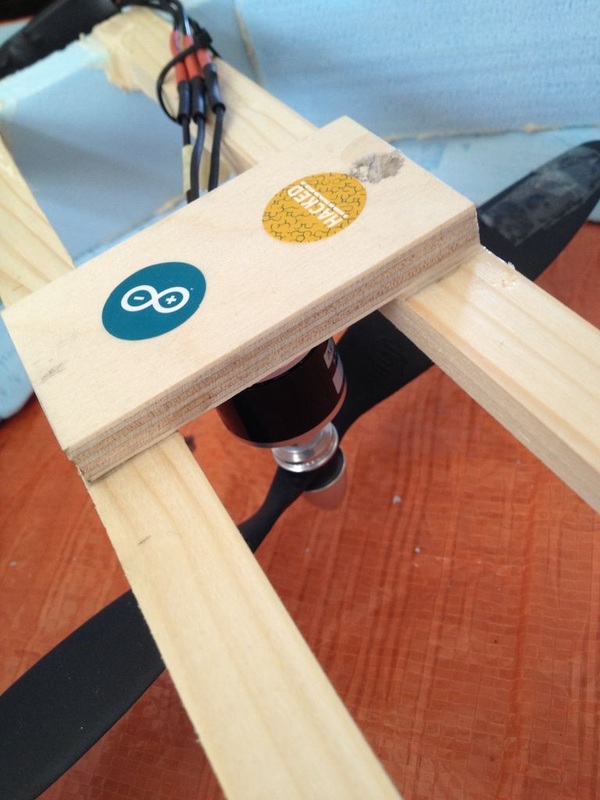 - For the liftmotor: mount the motor on a light piece of wood. 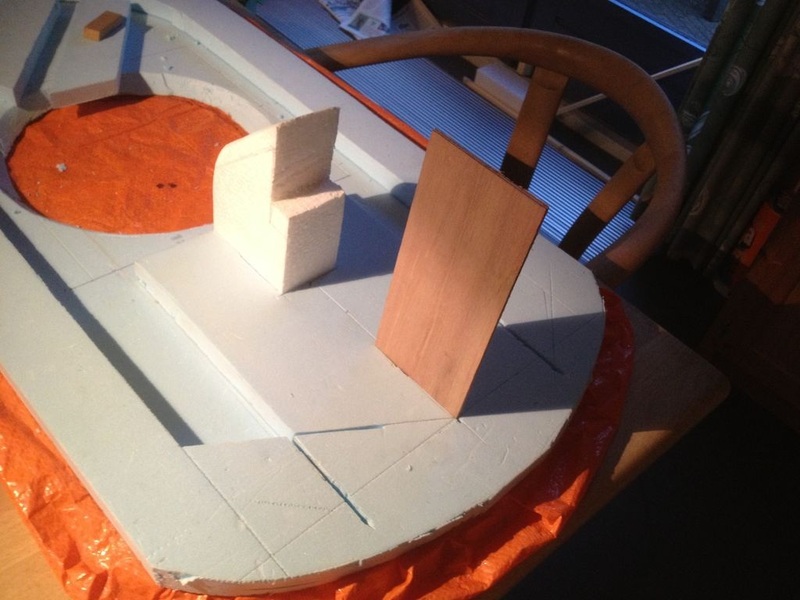 Glue this piece on top of the wood-spars, use wood glue. 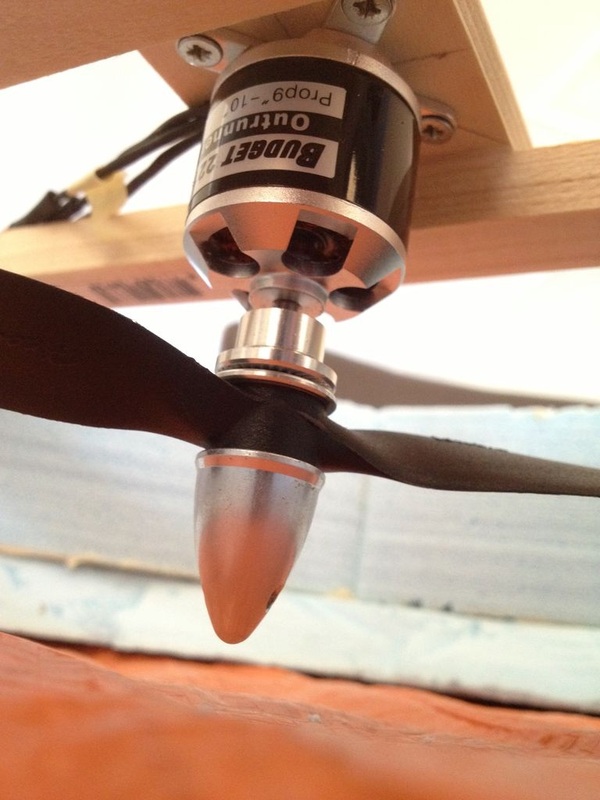 Make sure the motor/propeller is exactly in the middle of your lift-duct. - Mounting the thrust-motor is a bit more complicated. Let's take a look at the picture. As said, the motor is mounted on a 90 folded little aluminium mount. I made this mount by my self. > Take a 90 folded aluminium plate. > On the other side, drill littles holes (very precisely) where you are mounting the motor. > Mount the motor with short screws, or you will damage the inside of the motor! > I glued another piece of triplex wood under the first little wood block. I inserted half of this piece of triplex in the motor-tower. (see last pic). I did this to make sure the motor was standing stable enough. There's one more motor to mount. 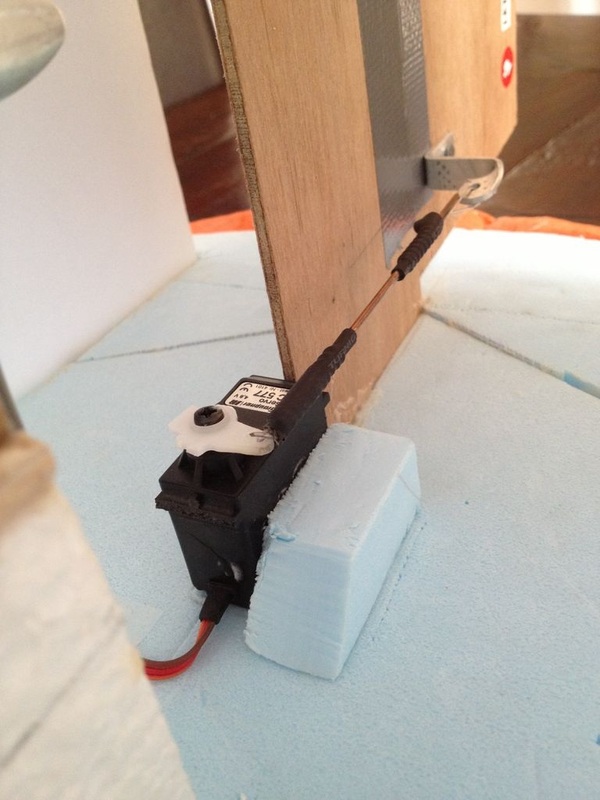 This is the servo-motor which has to be connected to the rudder. 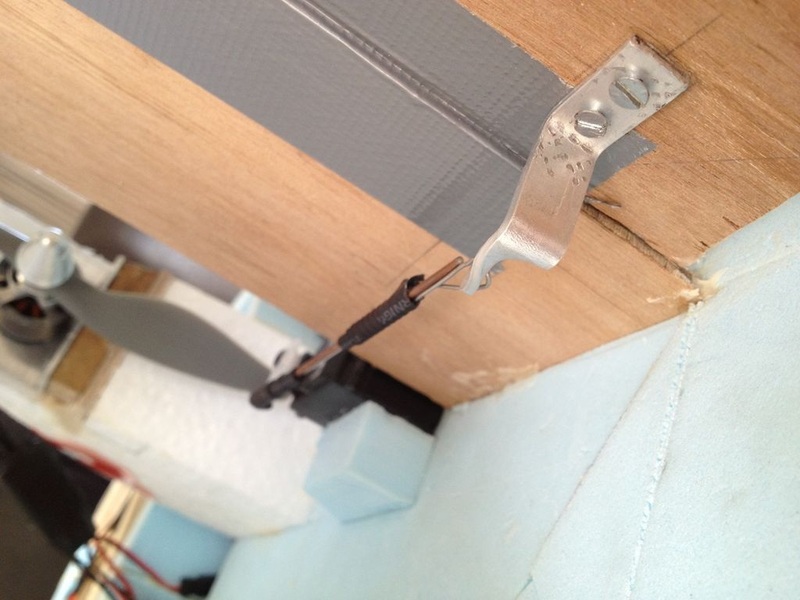 - Place the servo right behind the not-moveable part of the rudder. Glue it on the foam. Be careful with glueing on foam. Some kinds of glue will attack/damage your foam. I used BSI Super Gold Plus foamsafe glue. I really recommend it. 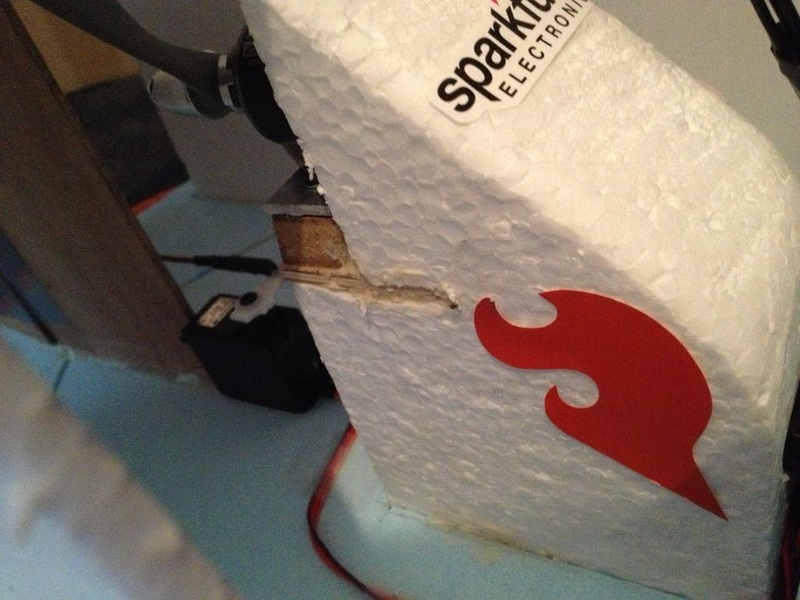 Glue down a little piece of foam to the side of your servo for more stability. 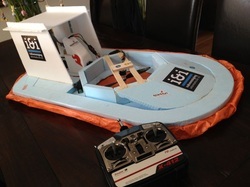 - Now you have to connect the servo arm with the rudder. You can use pushrods for this, but I decided to make my own. I used a piece of aluminium screwed on the wood (as a horn), and a little rod. If the rod bends when turning the servo, add another wire on the rod to make it stronger. When you have the servo and thrust-motor mounted, you can make a spoiler as I did. Again, use light material. Depron, for example. Congratulations! 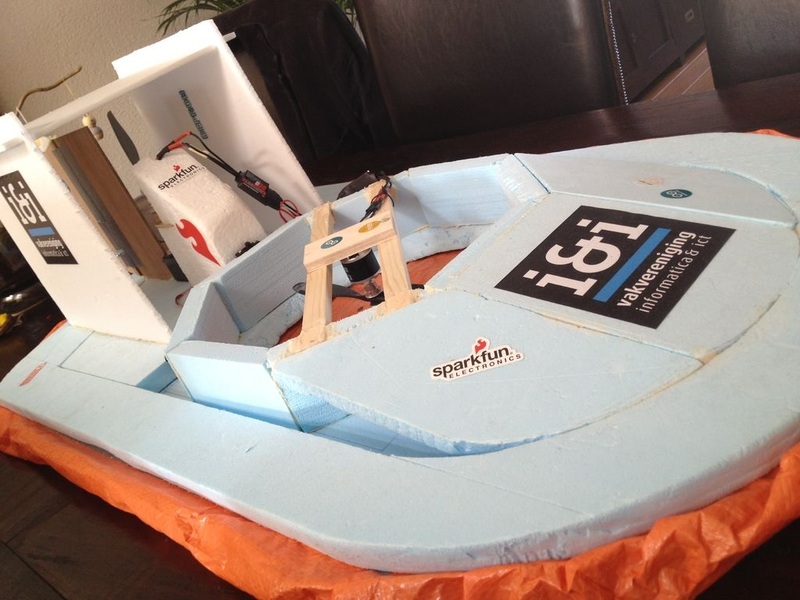 Your hovercraft is almost ready to race. Still, there are some imported modifications to make. Probably, when you test your hovercraft. The skirt will be dragged on the ground, and the hovercraft won't go fast. To solve this problem, I've made a little modification. I attached some strings to the holes in the skirt. The other side of the string I taped down to the bottom of the base foam-board. 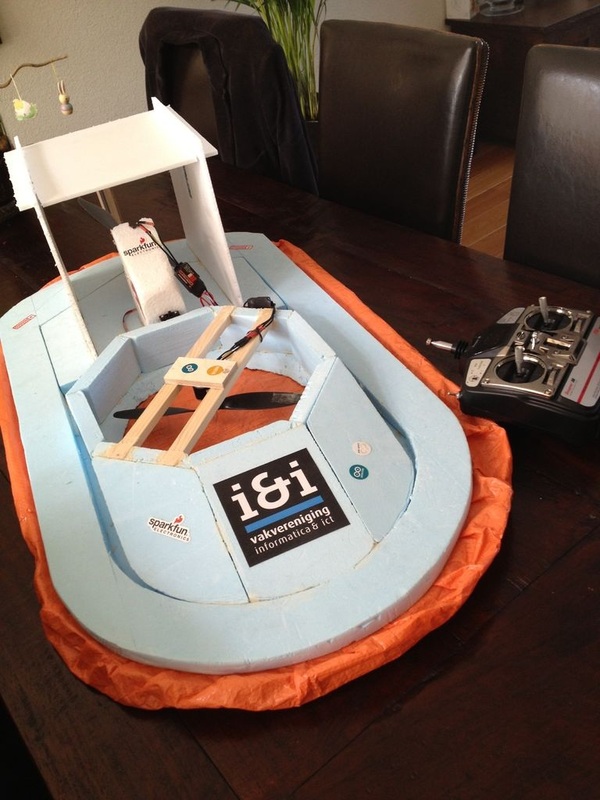 By doing this you are creating an open area of air under the hovercraft. The air will escape from this area and the hovercraft will float. There won't be any friction anymore. You can also make some more little holes in the skirt. 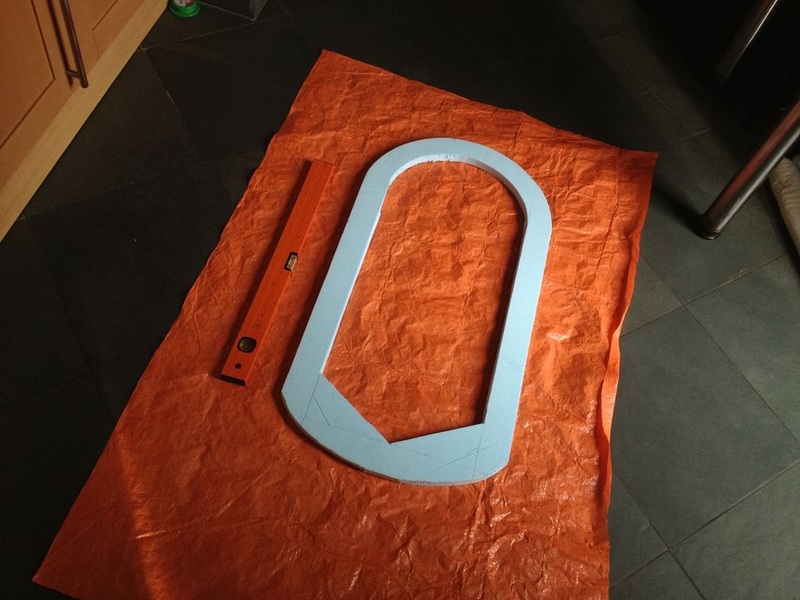 For example, make some more holes at the back, if the back is the most heavy part of the hovercraft. 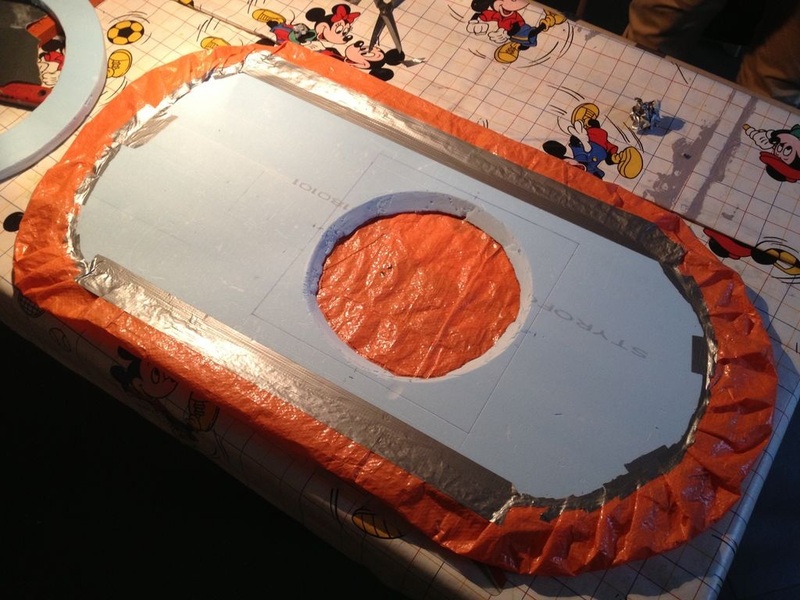 Lastly, you can cover the front of the hovercraft (where the battery is placed) with extra pieces of foam. It looks better and it improves the aerodynamics.